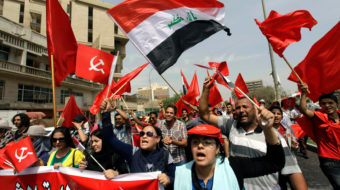 The deterioration in social services that brought about the victory of the Sairoon coalition has impelled thousands of people to take to the streets. The Iraqi Communist Party's Salam Ali explains how the Sairoun Alliance managed to buck the sectarian trap. 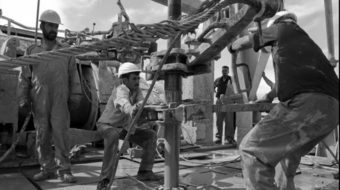 A growing progressive alliance, recovering its oil wealth, could make Iraq a country to be envied by its neighbors instead. 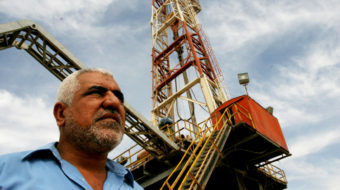 15 years after the Iraq invasion, what are the costs? 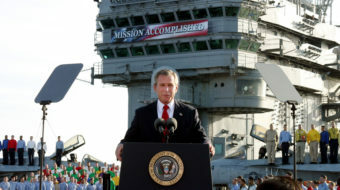 We are still spending $32 million per hour on wars started during the Bush administration. 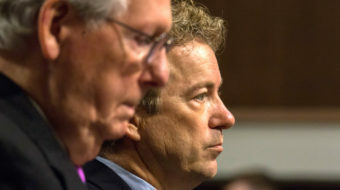 Rand Paul, libertarian and one-time GOP presidential hopeful, threatened to paralyze the Senate unless Mitch McConnell allowed debate on the Afghanistan and Iraq wars.